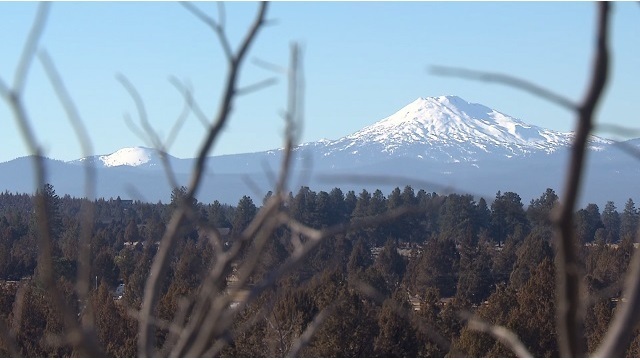 BEND, Ore. (KOIN) -- From stunning snow-capped mountains to wide open skies -- Central Oregon is home to some incredible views -- including some that are seemingly out of this world. "There are a lot of things out there that are completely unexplainable, they're baffling," said Jim Friedman, who spotted one of those sights. Friedman saw strange lights outside his Bend home in late January and caught it on video. "And I thought it was odd because it was over a meadow and there shouldn't have been anything out there," he said. Friedman, a self-admitted fan of the unknown, said he's the "guy that looks and never finds [UFOs.]" 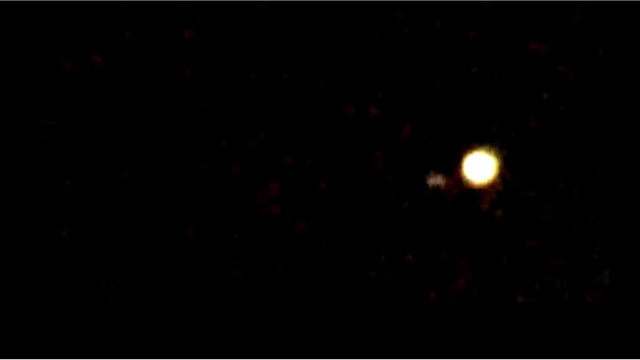 A still from Jim Friedman's video of the UFO he saw in Bend, Oregon, in January 2019. He said he's confident what he saw was a not a plane or a planet. 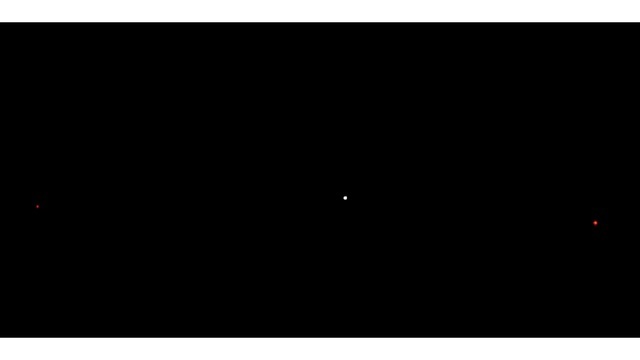 It was hovering just 500 feet above the ground -- so Friedman reported what he saw to the Mutual UFO Network. 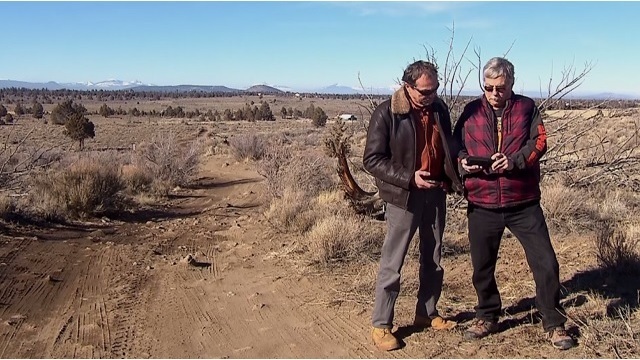 Tom Bowden, the director of Oregon's chapter of MUFON, confirmed Friedman's thoughts after an extensive review. "To me it's exciting," Friedman said. "It's hard to tell someone without even getting excited about it." Then, two days after Friedman recorded whatever he saw -- a friend of his saw something eerily similar flying above the Cascades. "I had my motorhome parked up here and stepped outside. I saw this bright light. I mean it was a brilliant bright light that was in the sky," Coty Alexander said. Alexander called Friedman to compare their videos. "I called Jim that same night and said 'You won't believe this' and told him about exactly what had happened," Alexander said. Alexander captured two red dots that were coming in and out of the picture alongside the bright white light. He said it stayed for more than two minutes. "And it just went out. Totally," Alexander said. He thinks the light was somewhere above Mt. Bachelor and that it had some kind of tower-like structure on top of it. "Either you can believe it or discount it but I know what I saw," Alexander said. Both men say whether you're in town or our in the country, there is no doubt there are secrets in the sky. "I know there's something out there," Friedman said. "I just don't know what it is exactly." "We're not alone," Alexander said. 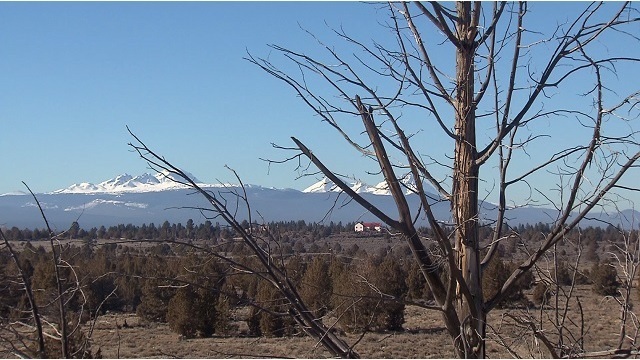 A still from the video Coty Alexander shot of a UFO in Bend, Oregon, in January 2019.